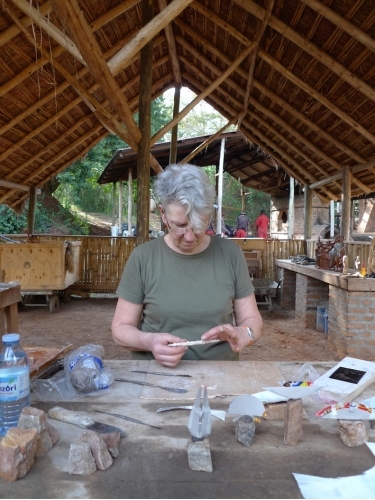 UK sculptor Ann Christopher RA has undertaken several residencies at Rwenzori Founders, the most recent being at the end of 2017 when she worked with the foundry team to finish the tallest piece made on site to date. Although a casting challenge for the team, 'The Shape of Time' is now complete and has been installed outside the gallery. Smaller works made during her residencies have been inspired by traditional tools and implements, natural rock formations and the colours of the local landscape.